These baked apples will make you think very naughty thoughts. Looking for something easy? This one is fabulous! Hot and sultry and moist. (Why do those three words sounds so naughty together?!?!) It’s a baked apple, people. Calm down. No need for a grand story or explanation. 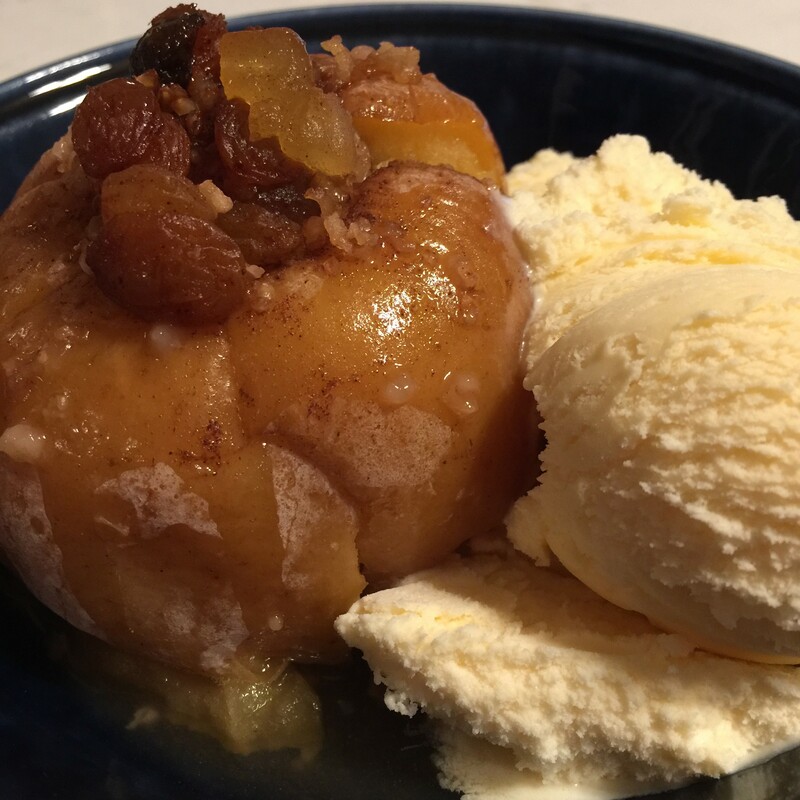 Baked apples are a great choice because the fruit is easy to find and consistent in taste all year round. I made this batch with opal apples— they are sort of the color of a golden delicious with the texture of a gala. But they cooked up really nicely and held their shape. You can try it with green apples for a more tart finish, macintosh for a sweet crisp taste or any other variety that you want to experiment with for dessert. Mix all of the dried fruit and dry filling ingredients together in a separate bowl. Stand all of the apples up in the crock pot (oval or casserole sized works best). Carefully fill all of the apples with the filling. Press the filling down into each open core and let the filling mound on top, too. Pour the water into the crock pot around— not on— the apples. Cook on low for 4 hours. Serve with vanilla greek yogurt or ice cream. Crock Pot Dulce de Leche is also an excellent topping!